The aim of the Left Field Project is to build the skills and confidence of regional Aboriginal artists, providing them access to professional Aboriginal artists who work in a contemporary way. LFP challenges the stereotypes of Aboriginal artists and gives them the freedom to express their individuality through new mediums and concepts. The Left Field Project was an intensive 18-month program for artists, working individually and as a collective, to explore and challenge their artistic practice. The artists were supported by leading Aboriginal contemporary artists: Jason Wing, Blak Douglas, Nicole and Chico Monks and Jonathan Jones – and co-curators Khaled Sabsabi from Casula Powerhouse Arts Centre and Emily McDaniel. Our artists found the exchange both challenging and rewarding through the shared process of creating and developing work for the final exhibition, Wala-gaay. In 2017, the process of developing new work and showcasing a growing creative and professional capacity continued with the Faith exhibition at the Casula Powerhouse Arts Centre. The Wala-gaay exhibition at the Fire Station Arts Centre in Dubbo, image credits: Alex Wisser. Wala-gaay in the Wiradjuri language refers to the bare part of the tree where bark has been stripped off. Wala-gaay was an evolution of trust, conversations, unique stories and experiences that evolved into the creation of new contemporary works that provoked and challenged the notion of contemporary art, Aboriginal art and art produced by regional artists in regional settings. Wala-gaay's audience response was beyond expectations, with positively glowing reviews from the local audience and leading arts magazines, from major institutions and fellow artists. You can view the exhibition catalogue here. LFP2 emerging artists have pursued solo shows and other group exhibitions. 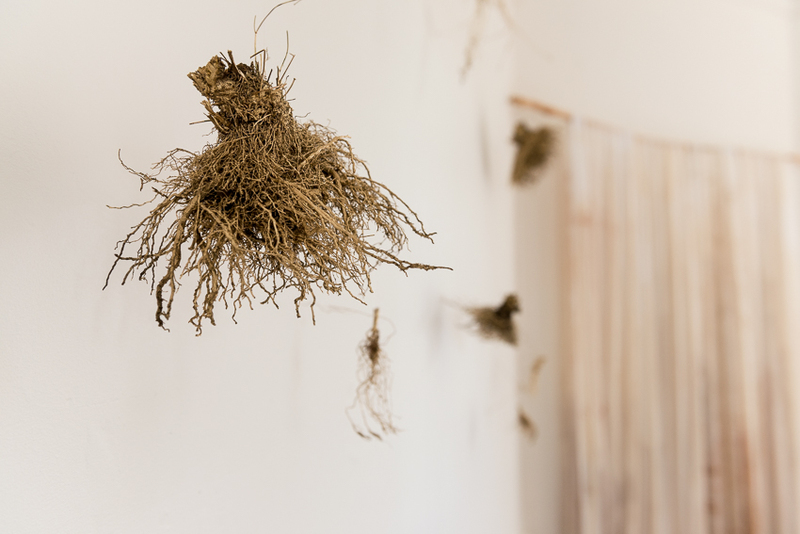 In 2017 Paris Norton exhibited at First Draft in Sydney as part of walan yinaagirbang | strong women (going on to have a solo show in 2018) and Aleshia Lonsdale has had exhibitions at Artisan on Lewis in Mudgee and the Western Plains Cultural Centre in Dubbo (as part of HomeGround). Coordinated by Orana Arts and in partnership with Casula Powerhouse Arts Centre, Faith presented newly commissioned works by participating artists from the Left Field Project. Since the establishment of the Left Field Project three years ago, this exhibition was the first time for some of these artists to produce works independent of and beside their mentors as equals for a group exhibition. You can view the exhibition catalogue here. Faith, the LFP Casula Powerhouse Arts Centre exhibition, image credits: Ben Williams Photography.